In May 2016, The Duke of Kent took a tour of RNLI lifeboat and lifeguard stations in the Channel Islands. He watched a rescue demonstration and was shown around the boathouses by volunteers and fundraisers. These visits were just some of countless other visits The Duke has made during the nearly fifty years that he has been the charity's President. The Royal National Lifeboat Institution is the charity saving lives at sea in the UK and Republic of Ireland. Since its set up in 1824, the RNLI have saved over 140,000 lives and now run over 237 lifeboat stations and 220 beach lifeguard units. Our President’s warmth, generosity and understanding of our life saving work is incredibly valued by this charity - the time HRH spends with each volunteer is never forgotten. The Queen became Patron of the RNLI in 1952, the same year she became Queen. At this time, The Duke of Kent's mother, Princess Marina, was President of the charity, a role which her son took over in 1969. 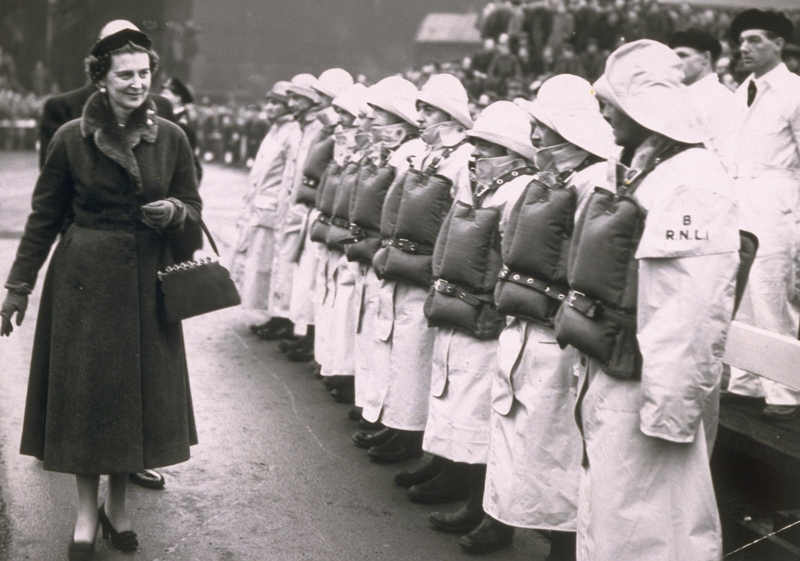 Princess Marina had made many visits as President, including a visit in 1948 to meet the Tynemouth Lifeboat Crew and name their new lifeboat the 'Tynesider'. During his time as President, The Duke has visited the vast majority of the RNLI's lifeboat stations, and has paid many repeat visits. For example, in 1975 he took to the water at St Peter Port Station, Guernsey, with Cox Peter Bourgourd. Over forty years later,The Duke returned to this station as part of this year's Channel Islands tour. In 2015, The Duke officially opened the Carrybridge Lifeboat Station in County Fermanagh, Northern Ireland. In his speech, he praised the RNLI's dedicated volunteers. Their actions serve as a heart-warming reminder that, today, there are people of all ages and backgrounds that are willing to make personal sacrifices in the name of running a vital public service. 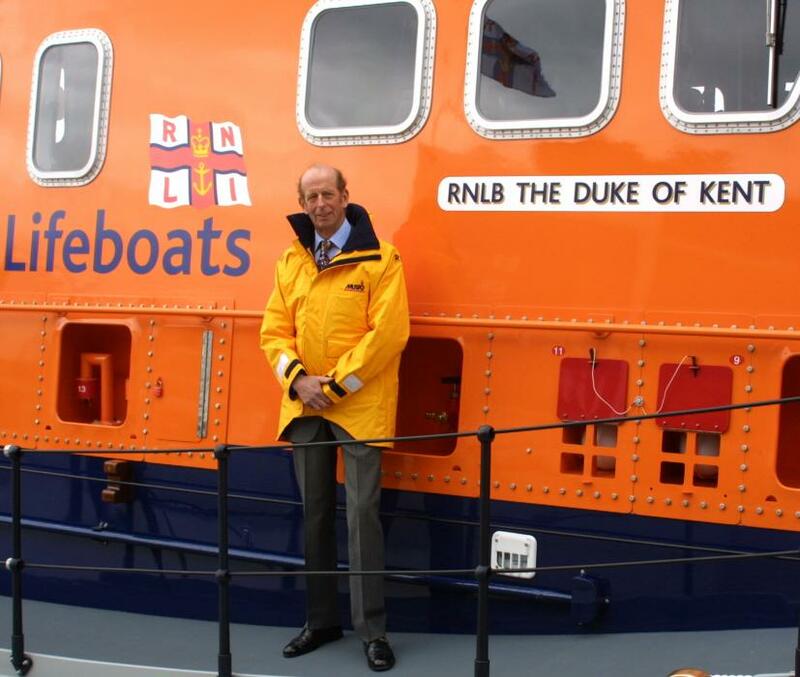 The RNLI's Chief Executive, Paul Boissier, told us how much The Duke's Presidency means to them: “As our President His Royal Highness has provided unwavering support of the RNLI for almost 50 years; an incredible achievement – a true advocate and ambassador for all RNLI volunteers. HRH has visited almost all of the RNLI lifeboat stations around our coast and attended countless lifeboat naming or station opening events, thanking hundreds of crewmembers, fundraisers, supporters and staff. Our President’s warmth, generosity and understanding of our life saving work is incredibly valued by this charity - the time HRH spends with each volunteer is never forgotten." To find out more about the work of RNLI, visit www.rnli.org.